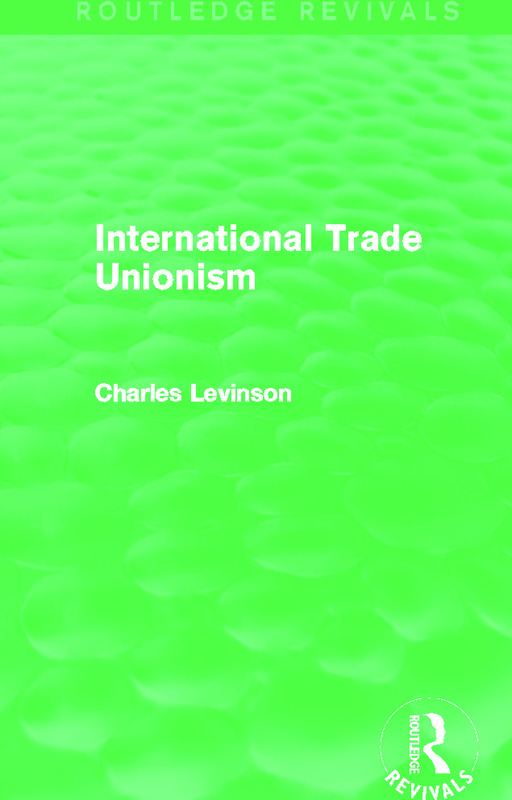 As Secretary General of the ICF and previously Assistant General Secretary of the IMF, Charles Levinson played an important part in developing the countervailing labour response to the multinational corporations. His earlier work, Capital, Inflation and the Multinationals (Routledge Revivals, 2013) displayed the force of his insight into the dynamics of modern economics and technology. First published in 1972, this book considers the opportunities which allow unions to command an increasing share in decisions that shape the worker’s destiny. Chapters include discussions on the multinational corporations, industrial democracy and the ideas behind collective bargaining.